Thinking of going on a diet to lose weight? A lot of people think they know how to diet, but there’s more to it than most people realise. Here are a few important dos and don’ts that will ensure that your diet is healthy and effective. Starving yourself is not a good dieting strategy. Whilst you will lose weight, it won’t be healthy weight loss – starvation means not only cutting out unhealthy foods but also cutting out healthy nutrients that are needed to keep all your organs working efficiently. You’ll likely lose muscle mass as well as fat, so you won’t look healthy. Some people can develop eating disorders by starving themselves as they may start to believe all food is bad for them – if you feel this is a problem it could be worth getting some help from eating disorder treatment centers. For the majority of people, starving won’t work simply for the fact that it’s hard to keep up and makes you more likely to binge on food when you do eat. Whilst you shouldn’t cut out all food, you should try to eat less. For many people, portion control is a big problem. Even if you’re eating healthy foods, you could simply be eating too much of it by piling your plate up. There’s lots of information on healthy portion sizes online that can help you to reduce your intake. A lot of people believe that all fat is bad. However, the body actually needs some fat to provide us with energy. There are three types of fat: unsaturated, saturated and trans fats. Unsaturated fat is the healthiest and is found in nuts and vegetables such as avocados. Saturated fat is okay in small doses – this is the fat found naturally in meat and fish. As for trans fats, these should be avoided when possible – these are artificially enhanced fats used to preserve shelf life found in foods such as chips and cakes. The body has a harder time processing trans fats and as a result this often ends up as flab on our bodies. If you’re going to cut down your calories, cut down on these fats. 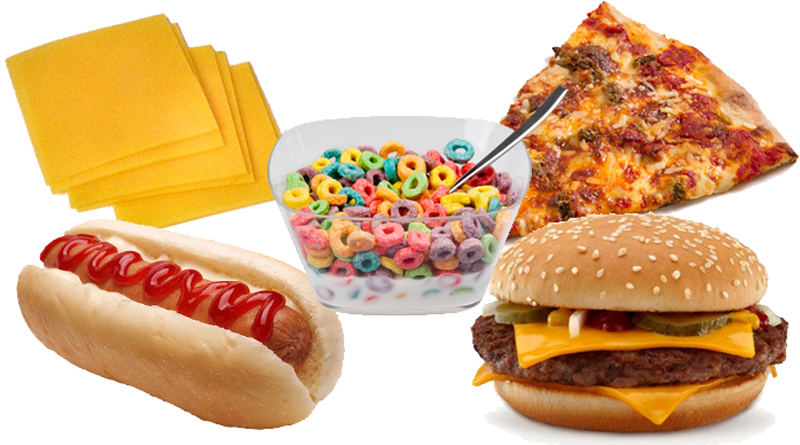 Processed foods are harder for the body to digest, because they contain less natural ingredients. Because the body doesn’t know what to do with these artificial ingredients, it stores them as fat. Anything that isn’t in its raw state can be technically counted as processed, but generally it’s foods that come processed when you buy them that you’ve got to look out for. For example, a premade lasagne will probably be less healthy than a lasagne you’ve made yourself from scratch due to added preservatives. There are slimming pills on the market that can help you to lose weight by reducing hunger cravings – however these alone won’t cause you to shed the pounds. If you do use pills, use them as a supplement. Make sure to do your research when choosing a dieting pill as some have bad side effects. Exercise will help you to burn up extra calories and lose weight faster. Cardiovascular exercise is often the best for losing weight – this could include running, cycling or swimming. Weight training can be useful for helping you to build muscle as you lose weight, helping you to stay looking toned. You can read more into weight loss exercise tips here. It’s good to allow yourself some treats for the sake of motivation. Most people give up because their diet plans are too strict and don’t allow room for some tasty guilty pleasures. Just make sure that you’re not indulging too often. You’re best using treats as rewards – if you’ve just completed a week of eating healthy foods, allow yourself to indulge on pizza or chocolate ice cream. Don’t let other people eating unhealthy foods around you tempt you into giving in. Let your friends and family members know about your diet so that they don’t try to convince you to eat foods you shouldn’t be eating. Keeping track of your dieting and the results can help to spur you on towards your weight loss goal. This could include getting on the scales every week or taking photographs in the mirror. 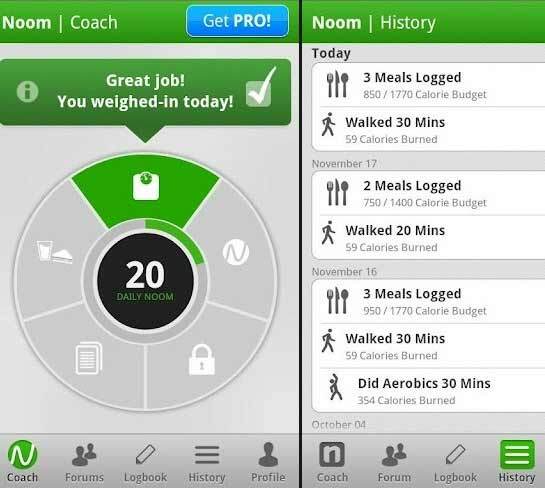 There are dieting apps that can help you to record your progress. Some people like to go as far as to count calories and record individual food items, but don’t have to go this in depth – it’s all about what motivates you. A big mistake that people make with dieting is thinking that it’s all temporary and then going back to their old ways once they’ve reached their weight loss goal. This is what causes many people to yo-yo in size – you may well shed those pounds, but you’ll be back to your original size in no time unless you make a few permanent lifestyle changes. You don’t have to keep up all of the elements of your diet (otherwise you’ll just keep losing weight forever!) however you should make efforts to try and keep certain changes. This could involve not having as much soft drinks or alcohol or trying to still have a few organic meals each week. Succeed at doing this and you’ll stay at your perfect size forever.